This book tells the story of the life of two remarkable nineteenth century citizens, John and Ann Goodlet. Their work, which was an expression of their Christian faith, contributed to the building of the economy of the colony of NSW and the Kingdom of God in NSW and beyond. They were deeply involved in the founding and/or development of the Presbyterian Church, the Sydney City Mission, Royal Institute for Deaf and Blind Children, YWCA, YMCA, AMP, PLC, St Andrew’s College and much more. They were prominent in the rescue of prostitutes, caring for consumptives and the development of a defence force. 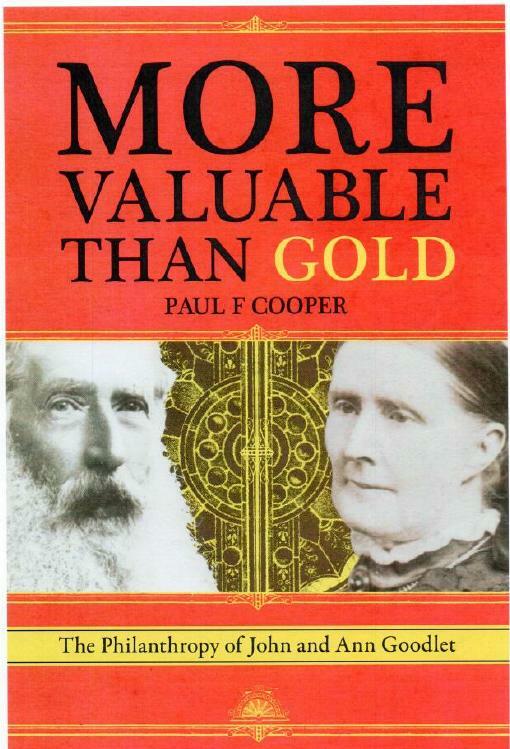 If you are interested in purchasing a copy visit Eider Books at https://eiderbooks.wordpress.com/ fill in the form and a copy of More Valuable than Gold will be sent to you with payment instructions.